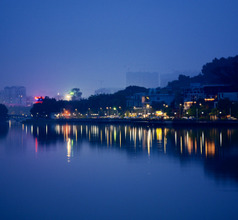 Encompassing the lower and middle reaches of the Xijiang River in China is a charming city named Zhaoqing. 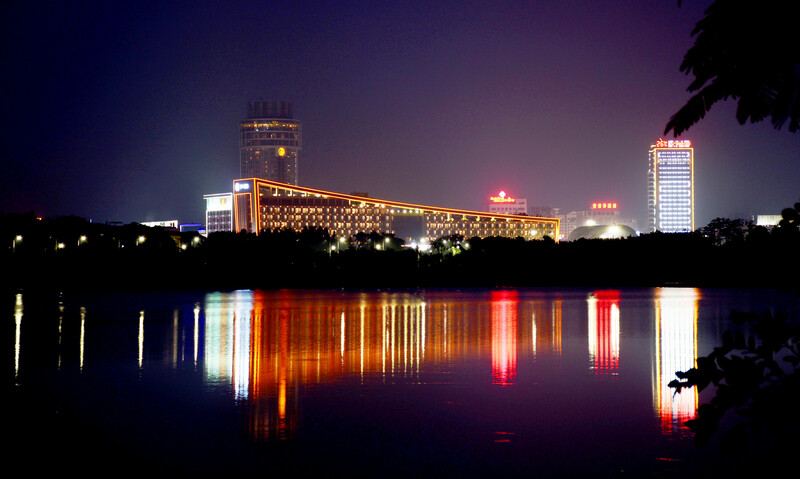 It is a prefecture-level city in the Guangdong Province, about 90Kms from the provincial capital of Guangzhou. The picturesque Pearl River Delta is also nearby and so are mountains. Consequently, the topography around Zhaoqing City consists of spectacular views made up of mountains, waterfalls, dense forests, high-elevation lakes, and more. Ecotourism is a major industry in the city, hence it has developed into a well-organized urban area with good infrastructure and an aura of hospitality. It has a splendid historic relics as well as modern commercial areas. Zhaoqing City’s history goes back more than 2,000 years when the Lingnan aborigines occupied the region. Also, the city is believed to be the origin of the Cantonese culture. The Ancient City Wall with a perimeter of 2,800 meters is a well-preserved ancient relic that was built during the Song Dynasty reign. 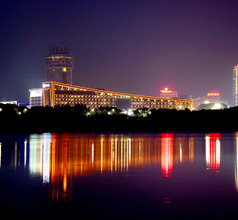 The modern Zhaoqing city is a prosperous industrial and trading zone. A large portion of the local population consists of migrants seeking job opportunities in the numerous industries. This has led to a beautiful blend of mixed nationalities, ethnicities, cultures, customs, traditions, and religious beliefs. From the point of view of tourism, the city is peaceful, colorful, interesting and has plenty of tourist-related facilities. The choice of accommodation in Zhaoqing City ranges from 2, 3, 4, and upscale 5-star hotels with a lot of amenities to low-budget inns, homestays, and service-apartments with few amenities. The upscale hotels offer spacious and aesthetically decorated rooms and in-house International-cuisine restaurants. They also provide round-the-clock services like laundry, housekeeping, in-room dining, sightseeing helpdesk, and more. The smaller hotels and lodges have only the basic amenities like clean rooms and proximity to fast food takeaways and transport facilities. The Xinghu Lake or Star Lake Scenic Area is a very famous tourist zone in Zhaoqing City region and in the province as well. It consists of several breathtakingly scenic spots like the Qixingyan (Seven Star Crags), Dinghu Mountain scenic area, Xiannv Lake (Fairy Lake), Qingyun Temple, and Butterfly Valley. 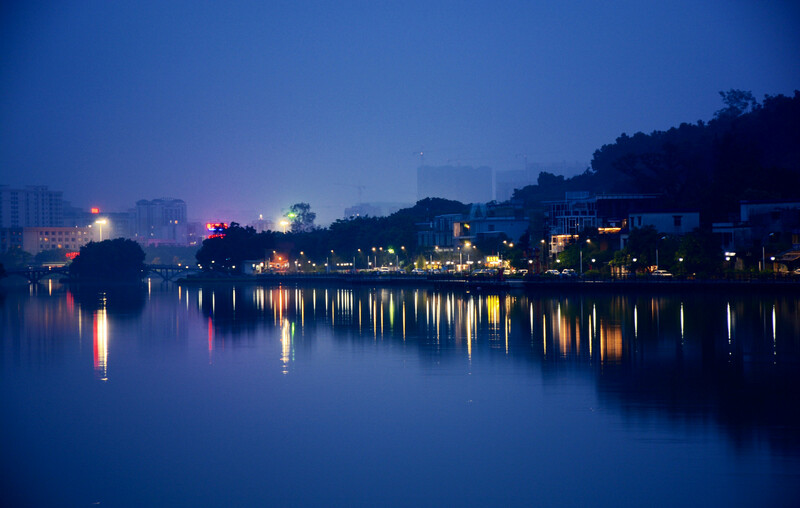 There are many other scenic spots and must-sees around the city of Zhaoqing. The Panglong Gorge Touring Region in Deqing County is a long and deep valley with lush greenery and a perennial source of water. The Longshan area in Fengkai County is a series of brightly colored karst caves and rock formations that have an unmatched beauty. The spectacular Yanyan Crag (Swallow Crag) located in the Huaiji County of the Zhaoqing City is like a bright yellow carpet of rapeseed flowers. While the Guangning Bicui Lake Baoding Mountain Scenic Area is a treat of dense bamboo forest and a charming lake. There is a souvenir shop near the lake where one can buy bamboo products at affordable rates. The local food of Zhaoqing City is typical of the Guangdong Province which is popularly known as Cantonese cuisine. There are thousands of little restaurants spread across the city serving Cantonese delicacies, although there are also many Western-style food courts that expats and overseas tourists prefer. Some of the local food specialties are Cantonese tea, Zhaoqing Zongzi (dumpling made with sticky rice), youtiao (deep-fried dough), Shahe rice noodles, chicken broth, White cut chicken, Baiqie Chicken, barbequed pork, preserved salt duck, tea-smoked duck, shark fin soup, Cantonese seafood soup, sea cucumber, fish balls, Gou Dim (pastries), etc. The best snacks and meals are served during the Dragon Boat Festival that is celebrated all over Guangdong Province as well as in Zhaoqing City.